IMH has a highly skilled technical team with comprehensive product knowledge that enables us to source and supply high quality spares and components for our customers, ensuring that machinery operates efficiently and safely. 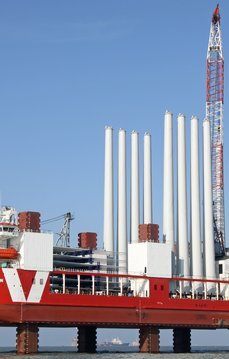 We supply a wide range of hydraulic components to the UK and international marketplaces, including to the automotive, infrastructure – including flood defences, manufacturing, marine, mining, nuclear energy, oil and gas (offshore and onshore), petrochemicals, power generation, renewables and hydroelectric power and subsea sectors. We ensure that our service is fast and efficient, meeting the needs of our customers and helping them to minimise downtime. We are a UK distributor and service partner for the HYDAC product range. We are also a UK distributor and service partner for the Bosch Rexroth product range and service supporter for the Moog and Elwood product range. IMH is an ISO 9001, ISO14001 and 180001 accredited organisation, which demonstrates our ability to consistently provide products and services that meet customer and regulatory requirements as well as showing we have a system in place to provide a safe environment for our employees. IMH holds Achilles UVDB accreditation. UVDB is the utility industry pre-qualification system used across the UK. Being part of the community helps IMH to work closely with organisations and enables us to achieve the highest standards of supply chain assurance. Contact us to see how we can use our expertise to source the right component for your business or project.